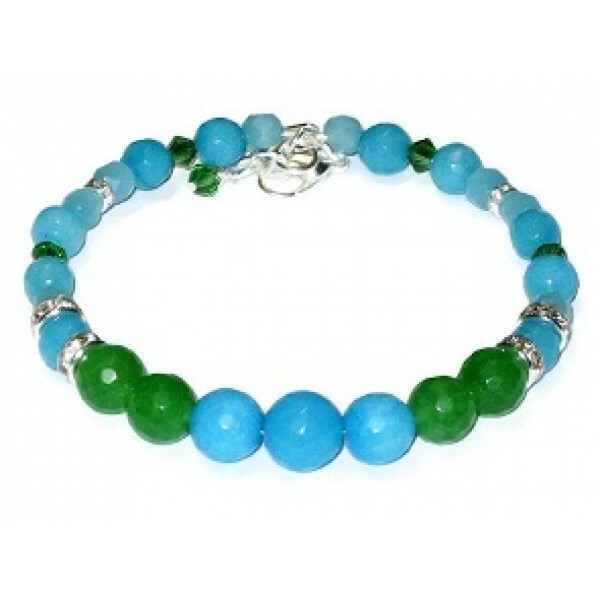 Turquoise and green are a great color combination. This bracelet contains faceted as well as smooth jade beads, Swarovski crystals, and rhinestone rondelles. It has a silver-plated lobster clasp and is made on expandable wire which will allow for some wiggle room to fit more comfortably on your wrist. It can be extended from 6 1/2 to 7 1/2 inches, with the extender.